Today, OnePlus co-founder Peter Lay accidentally revealed the OnePlus 6 at an event. 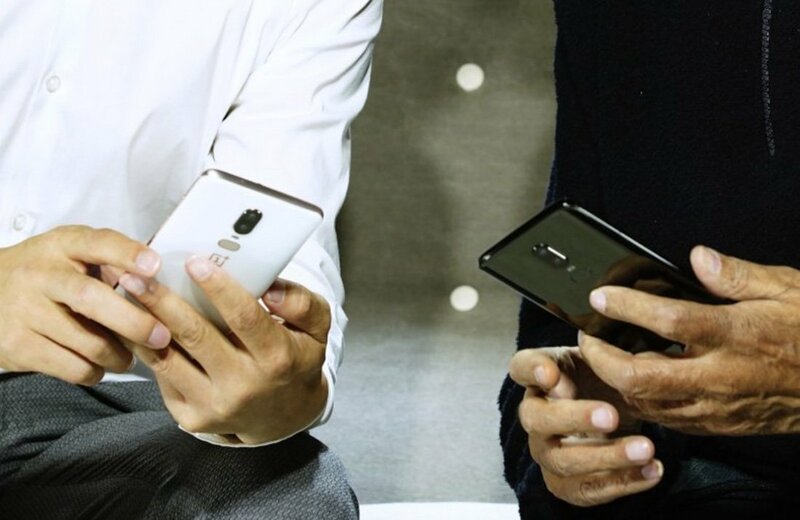 If you take a look at the images down below, you will be able to see Black and White variants of the OnePlus 6, the black variant seems to come with a glass back, while the white model seems to sport a sandstone back, like the white OnePlus 5T, but we cannot say for sure, as the phones are rather far away in the provided image(s). It is quite obvious these two phones are the OnePlus 6 units, they both sport a vertically-aligned dual camera setup on the back, a rather small fingerprint scanner below, and also OnePlus’ logo, not to mention that they look like units that were both teased and leaked in the past. 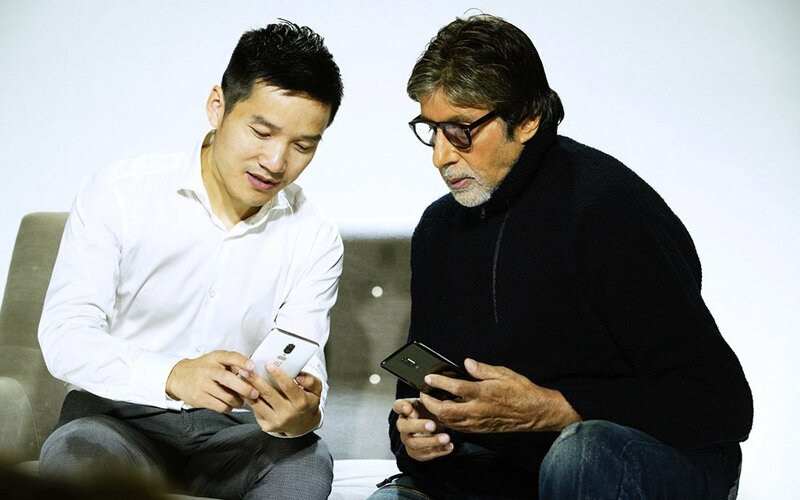 Indian actor Amitabh Bachchan posted a couple of images to Twitter that show off the backside of both white and black versions of the phone. 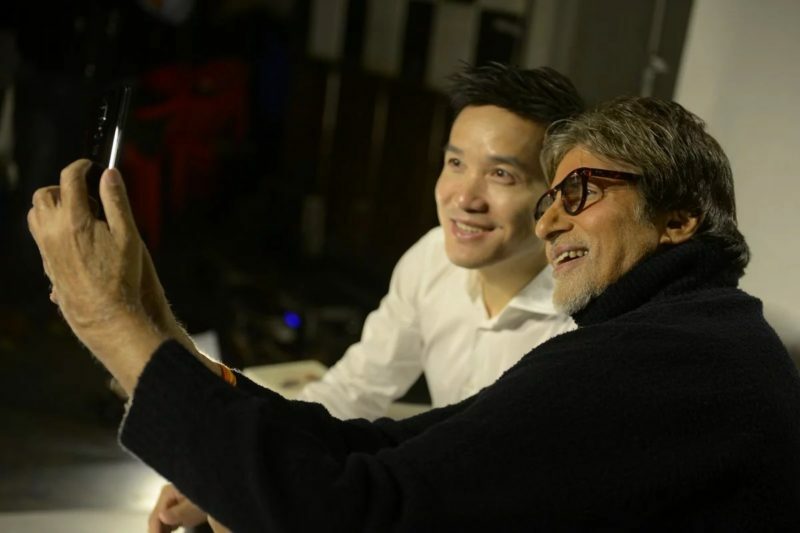 Who knows if he was supposed to post the pictures this early, but he did so while calling out OnePlus CEO Pete Lau, who is featured alongside him in the pictures. Though do keep in mind that the tweet containing these two images has been deleted recently, as it was probably shared by mistake. For those of you who still do not know, the OnePlus 6 will be announced on May 16 in London, while the same will happen in India a day later. A special edition OnePlus 6, the Avengers Limited Edition model will arrive to India on May 17 as well, along with a regular variant of the phone. The OnePlus 6 will be the first-ever OnePlus-branded smartphone to sport some sort of an IP rating for water and dust resistance, while it will be fueled by the Snapdragon 845 64-bit octa-core processor. OnePlus had already confirmed that the device will include a display notch, and that its back side will be made out of glass, at least on one variant of the phone. The phone’s most powerful variant will include 8GB of RAM and 256GB of storage, though a 6GB RAM model will also be available, presumably in 64GB and 128GB storage flavors. OnePlus’ recent teaser suggested that the device may ship with a heart rate sensor as well, though that info has not been confirmed just yet.